If you select “Upload from computer,” you’ll be taken to your computer’s file manager, which many users are familiar with. If you select “Search the web,” “Drive,” or “Photos,” you’ll be taken to a menu on the righthand side of your screen that is easier to navigate and more intuitive to use. You can also drag and drop images directly from this menu into your document. If you select “By URL,” you’ll be given the option to input the specific URL for an image. A picture is worth a thousand words... especially when you can add it to your document, presentation, or drawing quickly and easily. 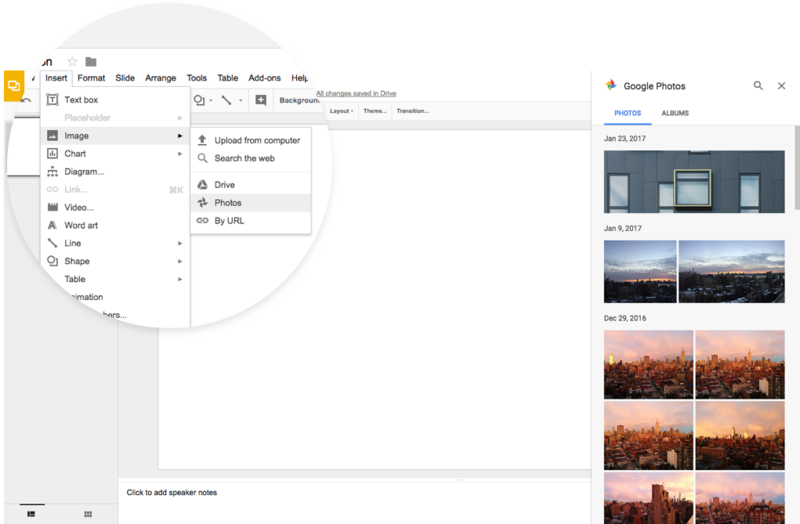 That’s why we’re making some improvements to the image insertion process in Google Docs, Slides, and Drawings.